Play this cooking game with Papa's Hot Doggeria where you have to cook hotdogs to all our virtual clients. Notes orders and get down to work. Each client has different tastes and you satisfy with good food. 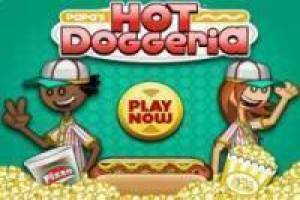 Enjoy the game Papa's Hot Doggeria, it's free, it's one of our kitchen games we've selected.